Google Maps is one of the most popular navigation tools out there, but did you know that there are other voice options for your navigator? If you're gearing up for a long road trip, or just using Maps to avoid surprises on your daily commute, you might enjoy having new voice along for the ride. Here's how you can use your device settings to make that road trip with a driving companion in the accent or language of your choice. In the Google Maps application tap the ≡ icon on the top left. In the Google Maps menu tap the gear icon at the top right to access Settings. In the Settings menu scroll down to the Using Maps heading and tap Voice Search. In the Voice Search menu you may scroll to select your language and region, as applicable. There are a dozen different English language options, designated by geographical areas like Canada, India, or Great Britain. The Spanish language also has multiple geographical options, as do other widely-used languages such as French. 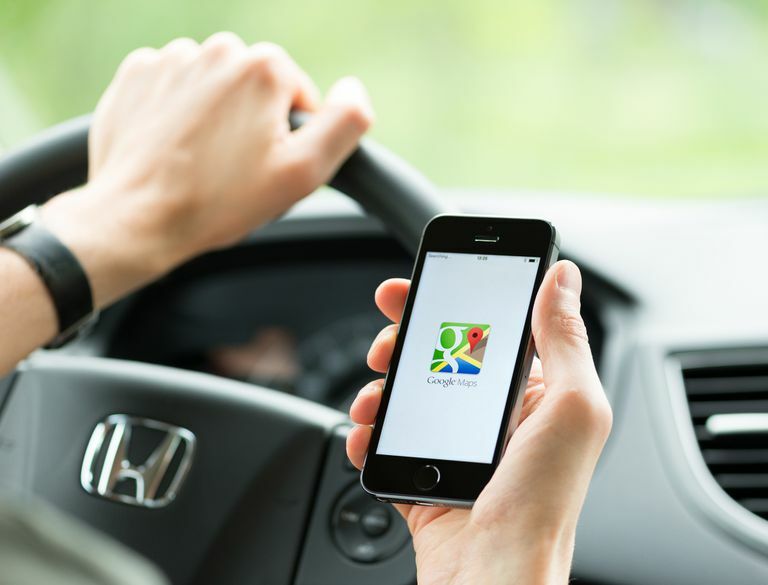 Delete the Google Maps app from your device. Locate your Settings control on your device. Under General on iOS devices, or System on an Android device, scroll to find Language. When it comes to voice options, don't confuse Google Maps with Google Assistant. While Google Assistant has garnered attention for updated voices and celebrity voice additions, Google Maps does not currently allow for voice options outside of those located in the process outlined here. That means any celebrity voice options that might pop up in Google Assistant won't carry over here. These voices are also not tied to your Google Assistant voice selection, so your "Hello, Google" chat buddy will not be the same voice as your Google Maps navigator. If you're looking for more unique voice options then you'll want to check out Google-owned Waze, which has more voice options and occasional promotional voices like Lightning McQueen or Morgan Freeman. In fact, Waze offers the ability to record your own voice! Still prefer Google Maps? That's great! Test out the different language options and see which one makes you excited to get behind the wheel. Enjoy your next road trip with a nice Aussie or French accent and drive safe!